Alley update Reviewed by Edgeville Buzz on February 4, 2011 . 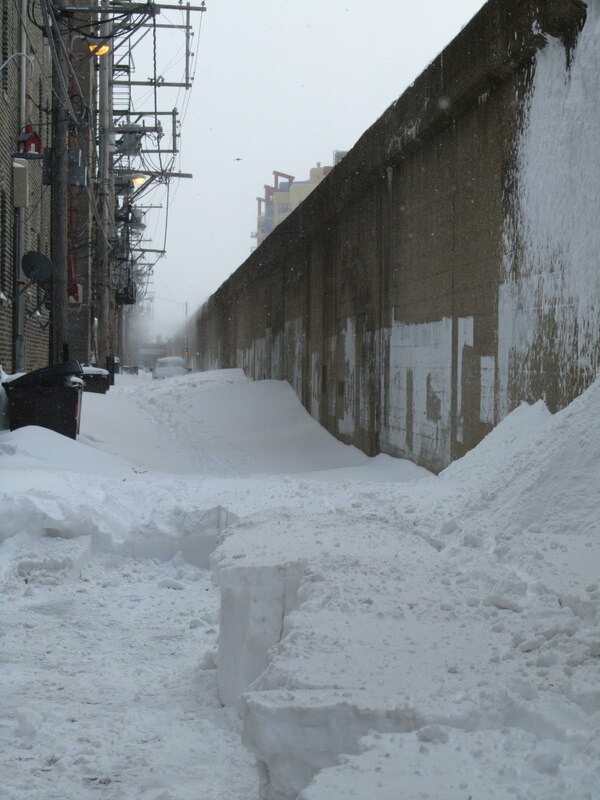 Alderman Mary Ann Smith’s office reminds us that the City of Chicago does not plow alleys as it would pile up snow against garages and dumpsters. Streets and Sanitation will run large trucks through the alleys to create ruts for vehicles to pass, but with this large of a snowfall it is unlikely to help. Residents are encouraged hold “snow removal parties” and shovel their alleys clear themselves. Has anyone hosted an alley party or removed the snow from their alley themselves? ?